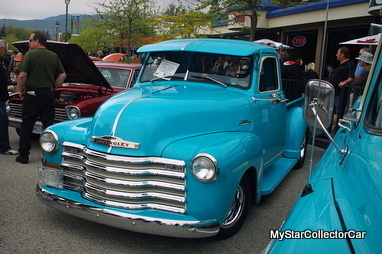 Gary Wilson had a basic plan for his ’53 Chevy truck and it didn’t involve 21st century tech. He’s a firm believer in old school techniques and a lot of hard work. 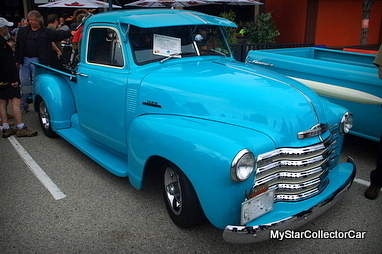 His ’53 Chevy truck is the end result. Most car guys have a basic blueprint when they start a project because old rides are complicated even though the engineering is over sixty years old. This means you have to plan it better than sketching a diagram on a cocktail napkin. Despite the technical complications, Gary’s project was based on a simple philosophy: “You have to do a restoration from the heart. 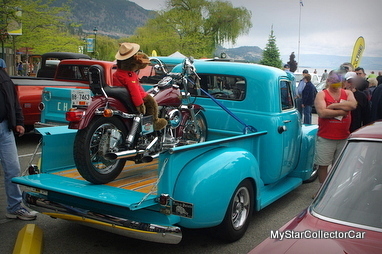 This was in direct conflict with sound advice he’d received in the past: “Never fall in love with a vehicle”. 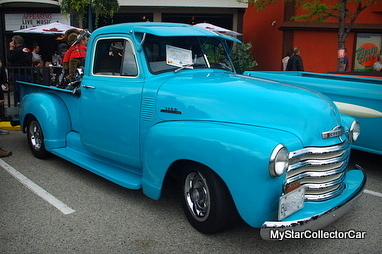 This ’53 Chevy was like most projects—long and difficult: “This took five years but I knew one thing-I gotta build it. It was definitely a challenge and you have to go through the range of emotions for sure. This is a nut and bolt build for sure from end to end and everything was done right because this truck doesn’t leak at all”. There are some familiar components to Gary’s old truck as he explained: “It’s got a Mustang II front clip on it and the rear end is a 3:55 with discs. It’s a ’69 Vette LT1 and it’s old school so no new electronics and it probably never will have hi-tech stuff. The seats are out of a Chevy van and they’re 52 inches and it’s got a Fulton sun visor”. Gary is particularly proud of the finish on his truck and he owes it to a lot of hard work: “This is a base coat-clear coat and the parts were painted individually”. There was only one real problem with the restoration and it came from an odd source: “The radio was tough to find, I couldn’t touch the radio to work on it and it took a year to find one”. This truck is definitely not a trailer or garage queen because Gary believes in time behind the wheel as he admitted: “It’s been on the road for seven years and I got about 40,000 miles on it so far. 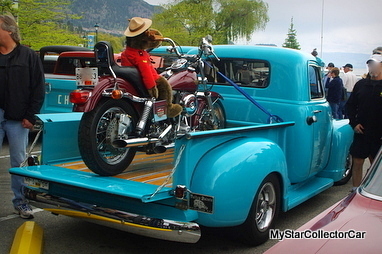 I’ve gone to Banff, Jasper and Vancouver Island etc. You take your truck out in everything, rain and weather and you just get on it. 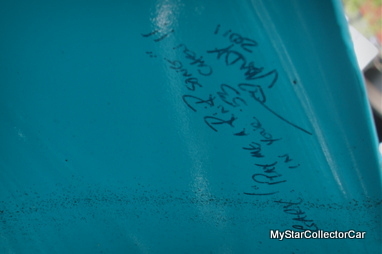 There’s a touch of celebrity to Gary’s truck and it comes in the form of an autograph from a 70s era Canadian folk singer named Valdy: “It was at a muffler shop getting a new muffler and that’s the same shop that Valdy uses so he saw the truck in the shop. He had one just like it years ago and he signed it for me”. 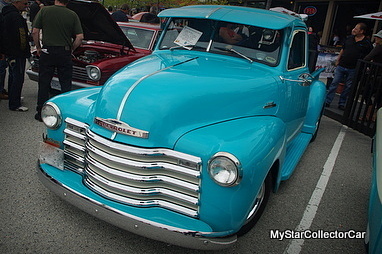 The key to success with any project is a lot of hard work followed by patience, skill and a fair amount of money and that’s how Gary approached his ’53 Chevy truck. There was one other huge factor that made this story work. Gary had a good game plan.